ORANGE WALK TOWN–A Mazda 4-door car has been impounded by Orange Walk police after it was abandoned by four robbers during a high-speed chase by police. They got out of the car, ran into the surrounding area and escaped. 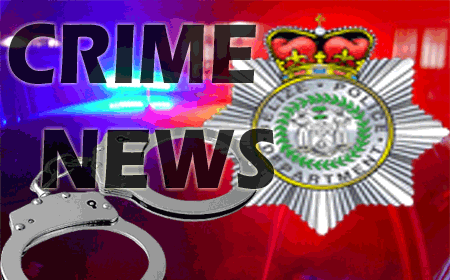 Police contend that the car was the getaway vehicle that had been used by the thieves after they robbed a store on San Lorenzo Road in Orange Walk Town and got away with an undisclosed amount of money from the store’s cash drawer. After police were alerted of the robbery about 1:00 this afternoon, they responded quickly and intercepted the vehicle, and the chase began. The chase came to an end on Oak Street in the Louisiana area of Orange Walk Town when the thieves exited the car and escaped, and police have since launched a manhunt to capture the robbers. The storeowner told police that four men came into the store and one of them pointed a gun at him, but he managed to run out of the store, leaving the 4 thieves inside. The thieves then went to the cash drawer, stole all the money that was in it, and then ran out of the store and escaped in the car. Police say that the thieves are known to them, but so far, they have not been captured, nor the stolen money recovered.